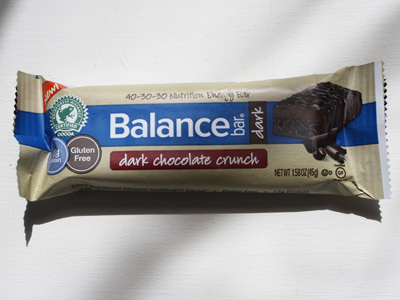 Balance Bar's Balance Bar Dark line is certified gluten free. As with its other products, these new bars are made in-line with the company's 40-30-30 approach to nutrition. I tried the gluten free Dark Chocolate Crunch flavor. I thought that it tasted great, better than other GF nutrition bars that I've had, and would recommend them to those who enjoy fitness bars. The label states that the bars are produced on equipment that also processes wheat.